In recent years, Tantz have been one of the busiest bands in the country. They have built a loyal fan base all over the country and abroad with their energetic kletzmer and gypsy jazz peformances and infectious delight they have for being on-stage. 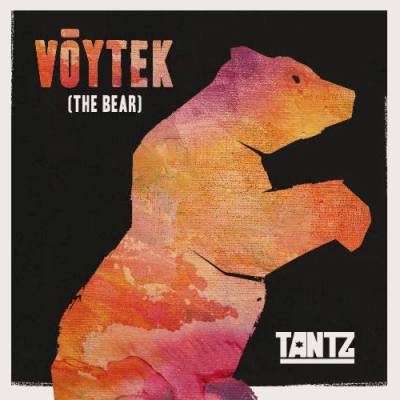 After many thousands of miles travelling to and from gigs and festival appearances that must total 500 or more, the band are finally releasing their first album, Voytek (the bear). On 29th October, Tantz will launch their album with a rare Leeds show at the Belgrave Music Hall and Canteen. A Tantz gig was not just a gig, it was a party. As they ventured further afield and word spread about them, the band's sound evolved over the years into this roaring blend of the traditional and the new that has seen them working non-stop at all kinds of events. World music festivals like WOMAD, rock/electronic gatherings like Bestival and Kendall Calling, clubnights like Balkanarama and Soul Rebels. They even played at the Brit Awards After Party 2014. The great thing is they rock every gig like it's their last one. Bottle of rum onstage, "1-2-3-4, let's go" count and they're off. Then it's a 90 minute ride of pure musical maelstrom that encompasses thumping bass lines, frenetic violin fiddling, in-yer-face drums and percussion, ska-punk chopped guitar and stratospheric soaring clarinet solos played so fast Charlie Parker would be proud of them. Doors at at 8-m and music begins at 9pm. Tickets cost £7 plus a booking fee from Crash or Jumbo Records or from the venue. More information on the new album and other live dates can be found on the Tantz website.